Take a minute. Smile. Let the season pour over you. True, there is bigger game to be hunted. But don't think about that right now. Think of your Tampa Bay Lightning celebrating once again. Seize the moment. Celebrate. The Lightning wrapped up their sweetest regular season Saturday. Another win. Another comeback. Another goal by Nikita Kucherov. Another one by Steven Stamkos. And now comes the post-season. It all added up to the team's 62nd win of the season, 4-3 over the Boston Bruins. That tied the Detroit Red for the most in NHL history. The Bolts' 128 points is the fourth most in league history. 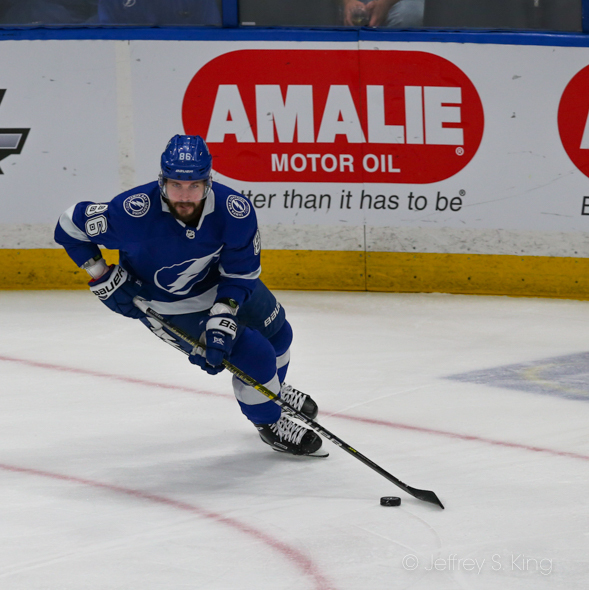 Also finishing with 128 points was Nikita Kucherov, who had his 41st goal and his 87th assist, the most all-time for a winger. Kucherov's teammates were impressed by his season. 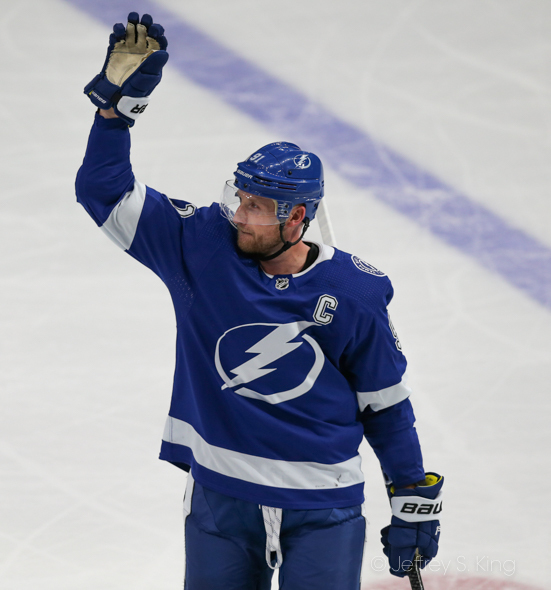 Stamkos scored his 45th goal of the season in the victory. He had a career-high of 98 points during the season. Anthony Cirelli scored his 19th goal, Tyler Johnson scored his 29th and Erik Cernak scored the first power-play goal of his career. Braydon Coburn also scored. But the most impressive number was 62. Before this year, the Lightning's record for wins in a season was 54. “It’s a great sign we’ve been consistent and finding ways to win and again tonight, down two," McDonagh said. "It wasn’t a great first period for us. We simplified things. Eddie gave us a chance throughout the whole game. It feels good right now, and the consistency and confidence in our team should help us going into what we’ve got next. For now, however, just relax. Reflect. Enjoy. Tomorrow, you can start to worry. Ok! Huge season to be proud of for sure! So relax but not too much…”Get ready to rumble” guys cause it ain’t over yet! I’m gonna dust off that “We Believe” t-shirt! GO BOLTS… all the way to the Cup! I am sure you will do your part. I, however, am a liability. Next post: Random thoughts: Stevie Y for GM of the year?